May 25, 2004. 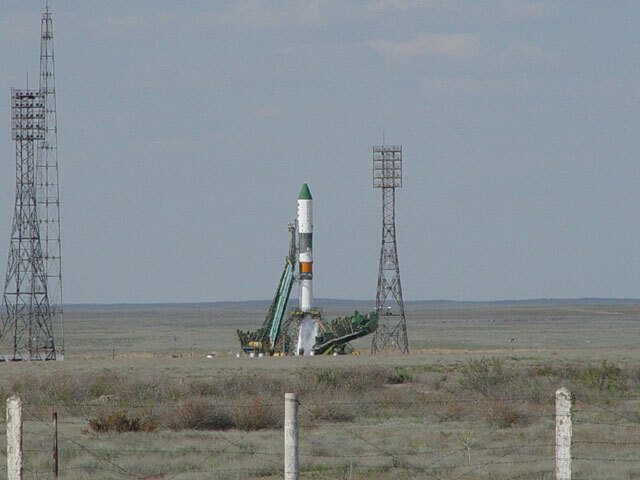 Baikonur Cosmodrome: In compliance with the International Space Station (ISS) flight program and obligations of the Russian Party under the ISS Project rocket and space complex Soyuz-U/Progress M-49 was launched at 16:34:23 Moscow summer time from Baikonur cosmodrome. The aim of the launch is to deliver necessary cargoes to the ISS to continue operation of the Orbital Complex and create habitation and working conditions for the crew. According to the ISS assembly program, the Progress M-49 flight designation is 14P. The refueling compartment of Progress M-49 contains about 640 kg of propellant, 28 kg of oxygen, 20 kg of air, 420 kg of potable water. Its cargo compartment accommodates about 1.2 tons of dry cargoes including food products, equipment and aids for the station onboard systems, individual protection gear, sets of crew procedures, video and photo equipment, parcels for the crew, structural elements, payloads for the US On-Orbit Segment, hardware and materials for space experiments. The vehicle was launched into orbit with maximum altitude of 252.0 km, minimum altitude of 193.1 km, period of revolution of 88.65 min and inclination of 51.66?. The vehicle onboard systems operate normally. The vehicle and ISS docking is scheduled on 27 May 2004 with berthing to the axial docking port of Russian Service Module Zvezda. The estimated time of the docking assembly contact is 17:55. 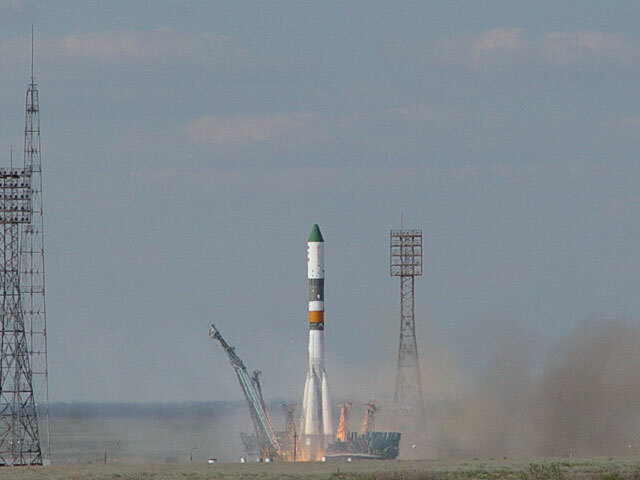 Cargo vehicle Progress M1-11, that has been operating as part of the Orbital Complex since 31 May 2004, cleared the docking port on 24 May 2004. This vehicle that was transferred to a safe distance after the docking will continue its on-orbit flight during the following ten days under a permanent control of MCC-M specialists, supporting performance of the science experiments under the autonomous flight program. Following that, it will be transferred to the descent trajectory and deorbit in the assigned area of the Pacific Ocean. 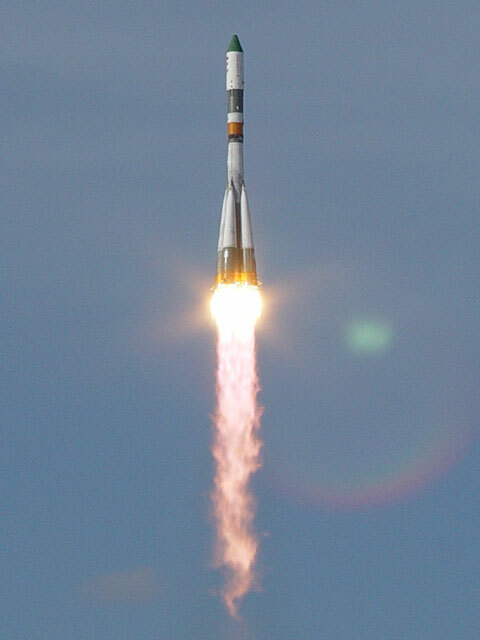 The decision about complex Soyuz-U/ProgressM-49 launch was taken by the Government Board (co-chairmen: N.F. Moiseev, V.A. Grin') based on the conclusion of the Technical Management about the readiness of the Space Complex and ground infrastructure components involved in the ISS program implementation. The prelaunch processing was directly led by the Technical Management (Yu.P. Semenov, Technical Manager of Russian Piloted Space Programs, General Designer of S.P. Korolev RSC Energia, Academician of the Russian Academy of Sciences). The vehicle and Space Station flight is under control of the Lead Operational Control Team (LOCT) located in the Mission Control Center in Moscow (MCC-M), Korolev, Moscow area (Flight Director is pilot-cosmonaut V.A. Soloviev, S.P. Korolev RSC Energia). The ISS Orbital Complex operates in orbit with the following parameters: maximum altitude of 385.6 km, minimum altitude of 359.5 km, period of revolution of 91.8 min and inclination of 51.65?. The Russian Segment consists of Functional Cargo Module Zarya, Service Module Zvezda, docking module Pirs, manned transport spacecraft Soyuz TMA-4. The US On-orbit Segment consists of modules Unity and Destiny, airlock Quest, multi-link truss structure with deployed solar arrays. Total mass of the ISS is about 175.2 tons. According to the telemetry information and reports made by the ISS Expedition 9 crew (ISS-9): Russian cosmonaut Gennady Padalka (commander) and US astronaut Mike Fincke (flight engineer), all station onboard systems operate in the designed modes. The Space Station is ready for docking with a new cargo vehicle.